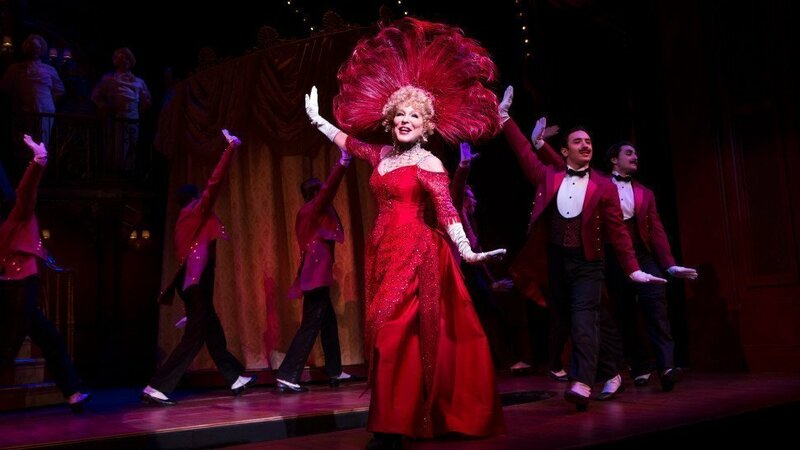 Broadway musical revival of “Hello, Dolly! I have worked with theatre, and movie designers, over the years, covering productions across Canada, and the USA. However, the commission I had, early in 2017, was not only exciting, but it also pushed me to new construction successes. In the Spring of this year, I was very proud to have been chosen, by Santo Loquasto (costume designer, for the Broadway musical revival of “Hello, Dolly!”), to bring his parasol designs to life. With a production this size and scope, nothing is left to chance. All parasol designs would be provided to me, along with all fabrics, trims, measurements, etc. Playing at the iconic Shubert Theatre, NYC, and starring Bette Midler, David Hyde Pierce, and scores of other actors and actresses, this musical revival has been showing to sold out audiences, since opening in the Spring of 2017. And, the “icing on the cake” ….. Mr. Loquasto won the 2017 Tony Award for Best Costume Design for a Musical. https://barringtonbrolly.com/wp-content/uploads/2017/12/Bette-Midler-pic.jpg 546 970 Gavin Parke https://barringtonbrolly.com/wp-content/uploads/2017/11/barrinton-300x133.png Gavin Parke2017-12-02 22:04:352017-12-02 22:04:35Broadway musical revival of “Hello, Dolly! Thank you Allie. Very much appreciated.